Scientists, doctors and researchers hope that by identifying the genes that may one day develop into cancerous cells, they may be able to soon provide enhanced screening, earlier detection and ultimately, better outcomes, for cancer patients. New research reveals that mutations of a specific gene – GT198 – have been identified as a linkage to both early onset breast cancer and ovarian cancer. In a recent study, conducted by the Medical College of Georgia at Augusta University and published in the American Journal of Pathology, researchers reviewed an international sampling from 254 cases of breast cancer in pre- and postmenopausal women. The new research shows that the stem, or progenitor cells, which should ultimately make healthy breast tissue, can also have mutations that prompt them to instead make a perfect bed for breast cancer. The GT198 gene was first identified in 2000 as a BRCA1 (hereditary breast cancer)-related gene and found in early-onset and familial forms of breast and ovarian cancer in 2013 [Peng et al., 2013]. The GT198 protein known as TBP-1 interacting protein, or TBPIP, is involved in the DNA repair process. Those with GT198-related cancer inherit one defective copy from a parent. In order for cancer to come about, the second copy also has to be inactivated. In the original study, they found eight cases out of 212. Dr. Memmel says that we are still a ways away from a clear definition of what this gene means to our patients, but the promise that it holds for early detection and even prevention is incredibly exciting. 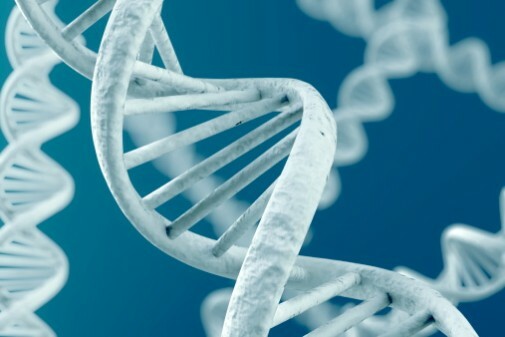 All Issues > Beyond Cancer > Could genes be the key to identifying breast cancer?